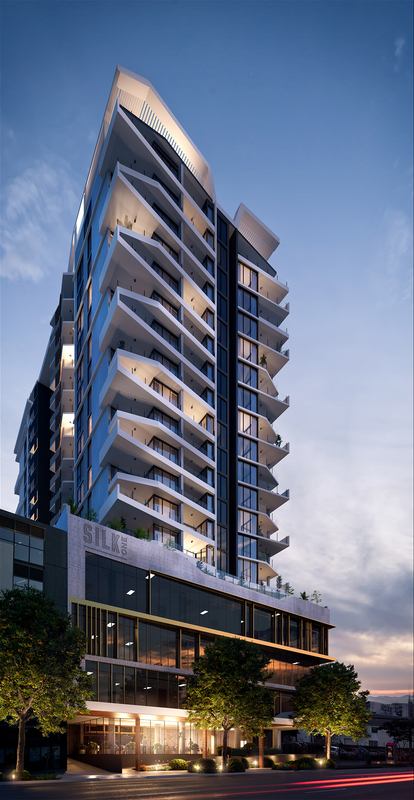 Saunders Havill Group are pleased to have delivered the approval of Silk Woolloongabba, a major urban regeneration project on Stanley Street adjacent to The Gabba. SHG Town Planning Principal, Nick Christofis and Senior Planner, Amy Russell secured project development approvals, working collaboratively with developers Sarazin Property and Southlake Group; and the project architect Nettleton Tribe and team of consultants in navigating a number of complex land titling, planning and engineering challenges. The approved development comprises three high-rise towers, containing a total of 529 units along with ground floor retail tenancies and commercial/office podium. The project is ideally situated to complement nearby established commercial areas (Logan Road precinct), The Gabba and the future Woolloongabba Station to be delivered as part of Cross River Rail. The first stage of the development, known as Silk One, has been recently released to the market. It includes 178 one, two and three bedroom apartments, high quality rooftop open space areas and Brisbane’s only Skystand. 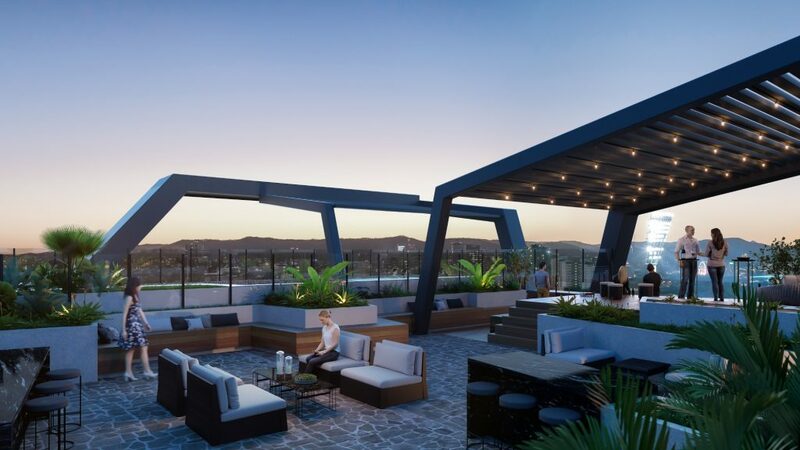 The Skystand incorporates a stunning, terraced timber deck and pergola overlooking The Gabba, where unit owners and their guests can enjoy a bird’s eye view of AFL, cricket and major music acts that are regularly hosted at the stadium. 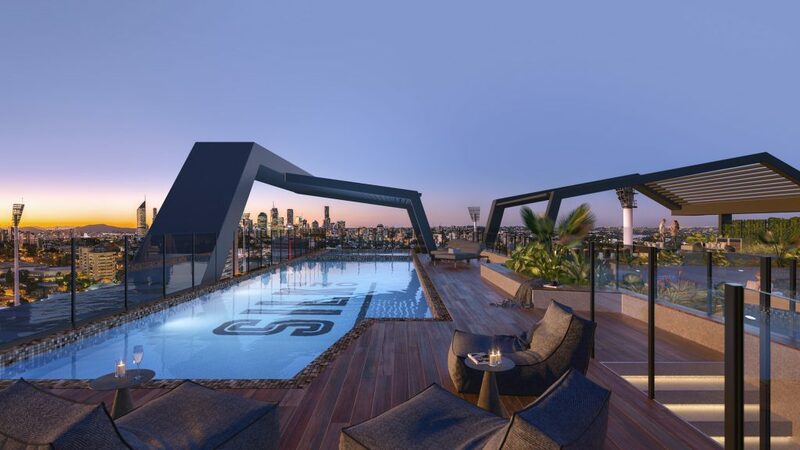 To enable flexible project delivery, SHG obtained a separate, standalone development approval for part of the project (Silk Three) in association with the Silk One and Two approvals; and in September 2018 obtained a further approval for the market-leading Silk One rooftop open space area, including the Skystand, gym, amenities and lounge/dining area. SHG were instrumental in resolving critical emergency access arrangements, ultimately allowing approval of the project, through out of the box thinking and employment of several unique and project-specific solutions. Provision of deep planting and landscape areas. Incorporation of podium commercial/office uses that boost the capacity of Woolloongabba to become a transit oriented employment node. Saunders Havill Group congratulates Sarazin Property and Southlake Group on a successful approval outcome and we look forward to assisting with the delivery of the project through the construction phase and to completion of the development.